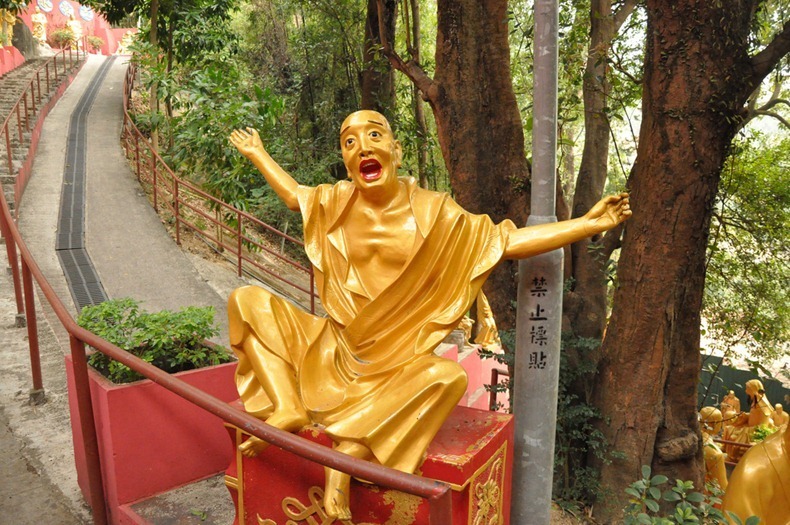 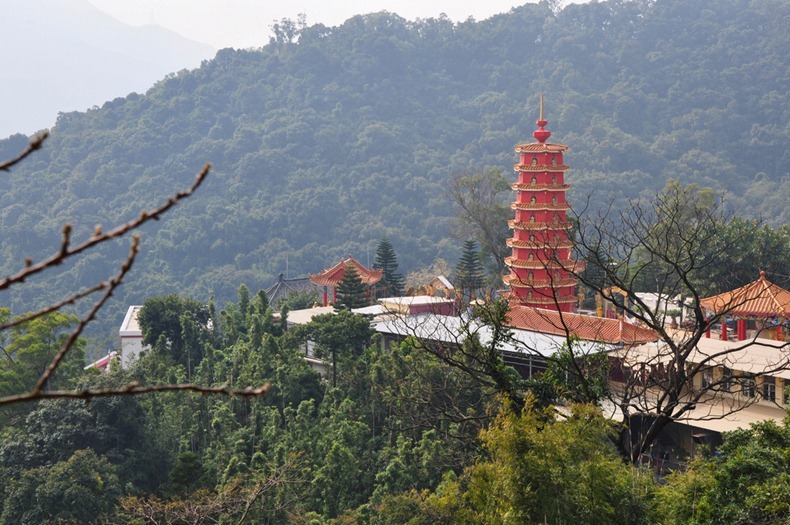 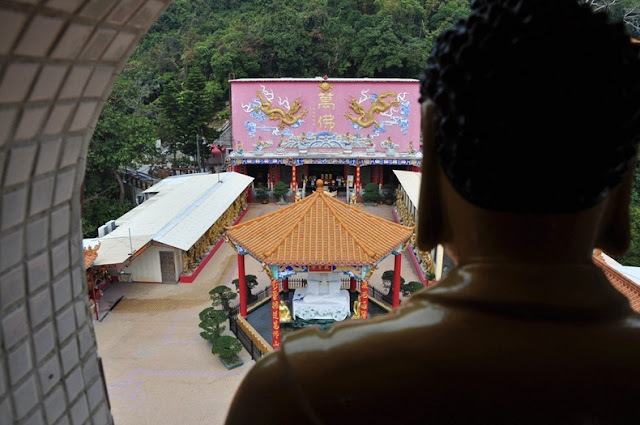 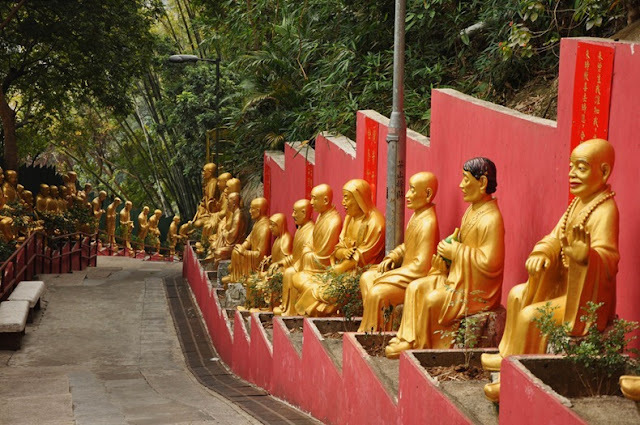 High above a lush hillside in the New Territories town of Sha Tin, Hong Kong is the Monastery of Ten Thousand Buddhas. 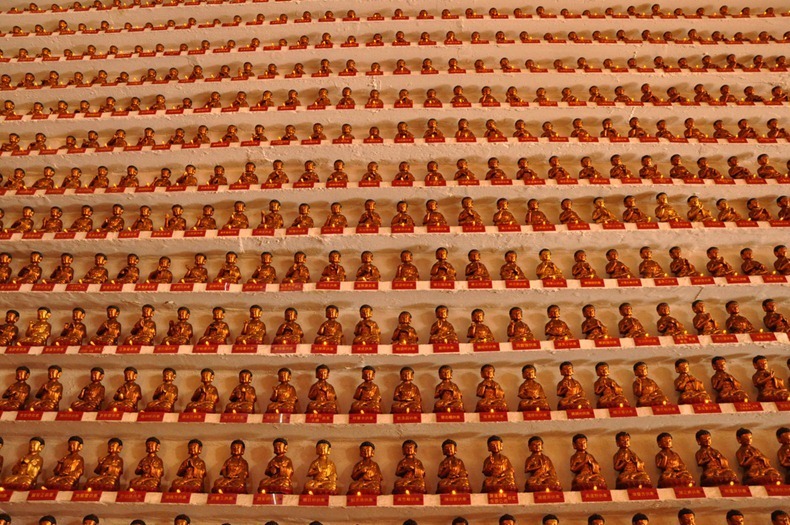 It is not an actual monastery as there are no resident monks - instead, it is crowed with more than 13,000 statues of Buddhas of all shapes and sizes. 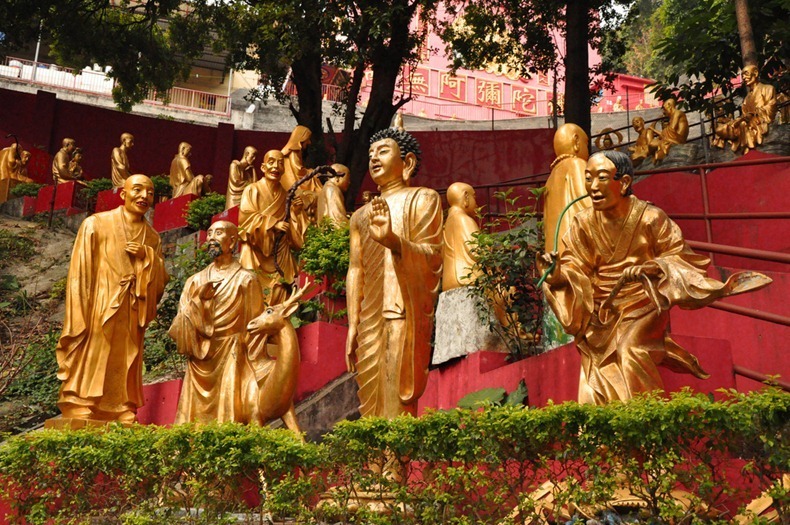 To reach the monastery one must first climb over 400 steps up the hillside, the path lined with life-size statues of Buddhas. 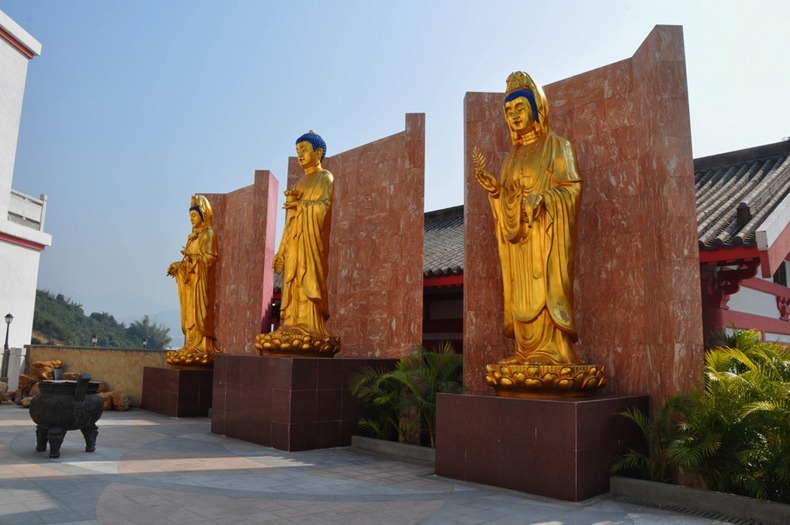 Once inside the monastery, you are accosted by more statues – Buddhas in the garden, Buddhas in the pavilion, Buddhas in the tower. 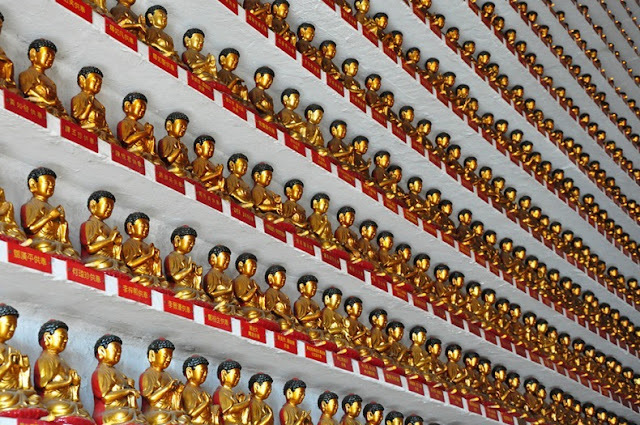 The walls inside the temple is lined with thousands upon thousands of miniature Buddhas. 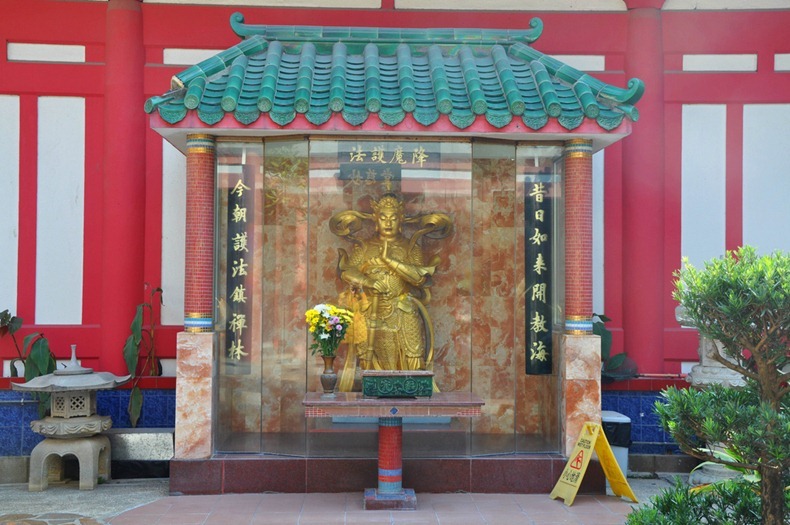 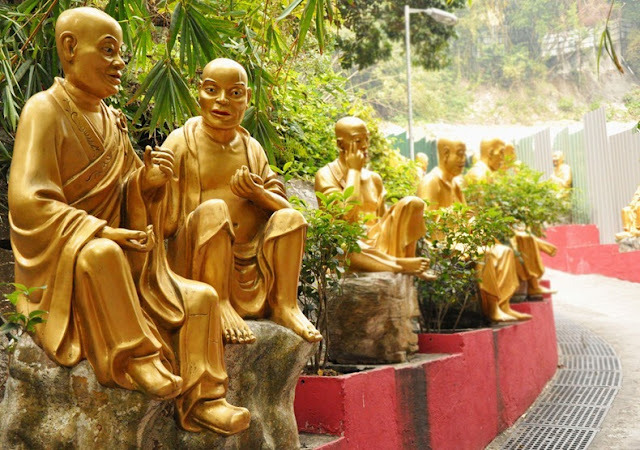 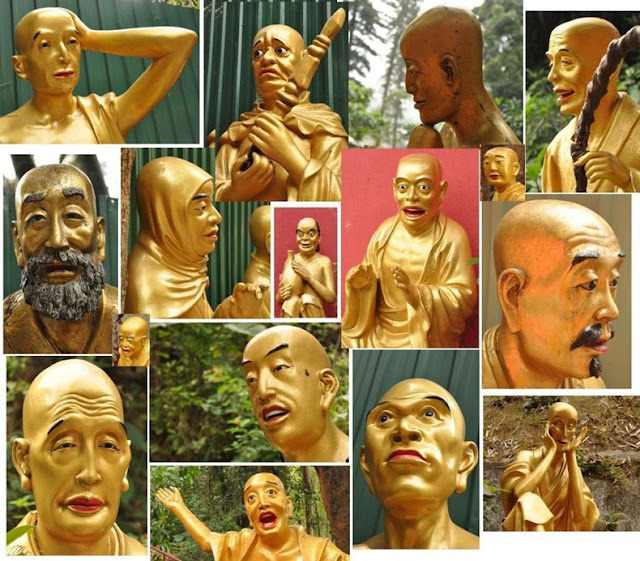 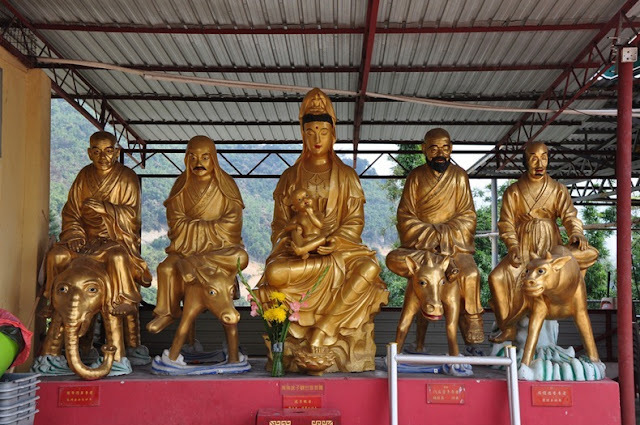 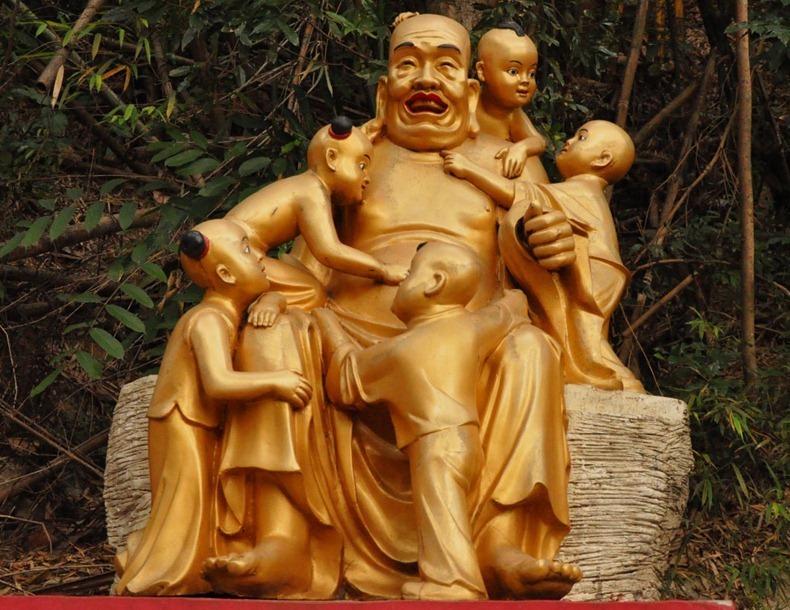 The Ten Thousand Buddhas Monastery was founded in 1951 by Yuet Kai, a monk who preached Buddhism in a local monastery. 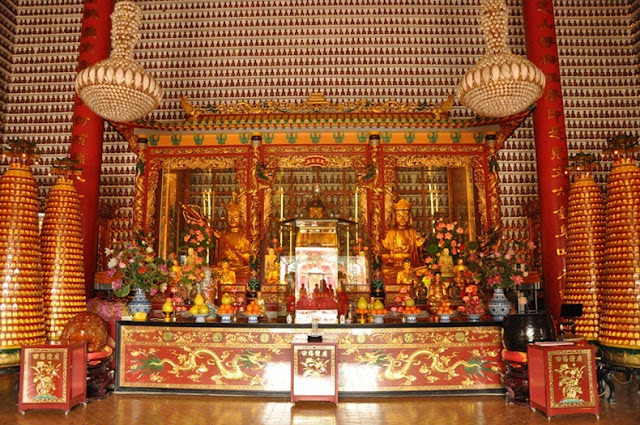 Construction of the monastery began in 1949. Despite his old age, Yuet Kai carried the buildings materials personally from the foot of the mountain together with his disciples to build the monastery. 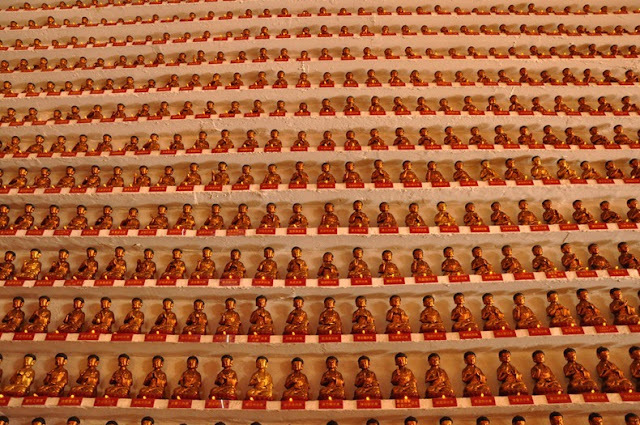 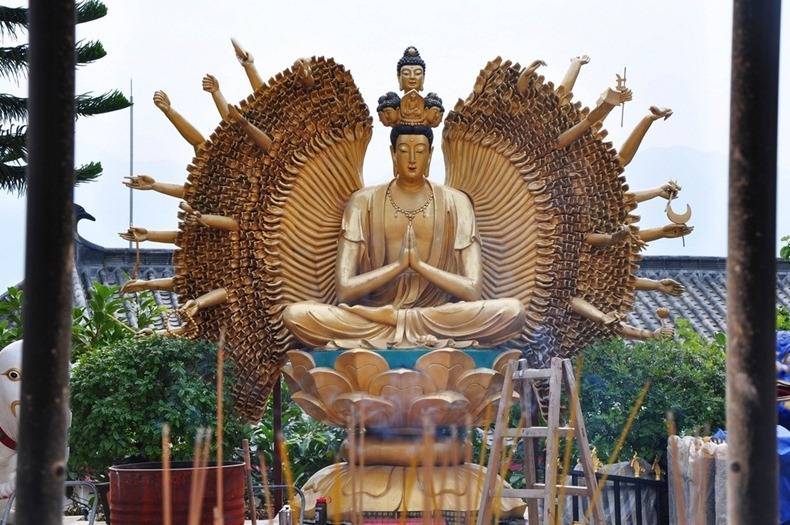 It took eight years to complete all the buildings and another ten years to finish the 12,800 Buddha statues. Today, his preserved body is presented in the main hall of the monastery in a glass case, often the main attraction of the temple.